Original work inspired by autumn and its warm colors. 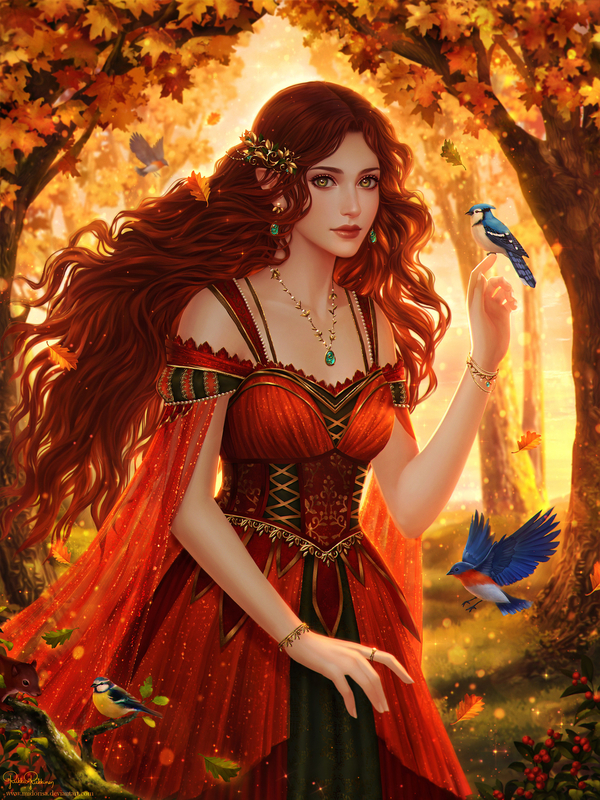 She is an autumn spirit/fairy, and one can see her mostly when sun has started to set and paints the autumn leaves even more vibrant red. Her calming presence draws the wild animals towards her, so they often accompany her. Again I wanted to challenge myself and add animals to accompany the character. I really spent time on her dress design/accessories as well. I have rarely been painting painting with reds, so I wanted to make this quite warm in color palette, and in atmosphere as well.